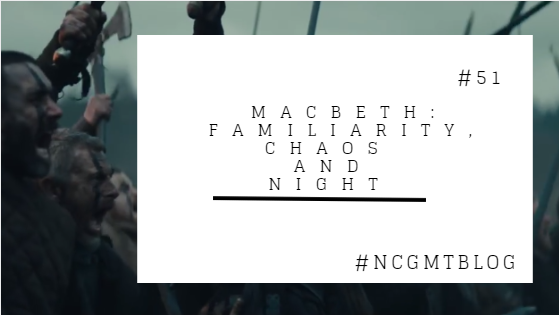 Macbeth: Familiarity, Chaos and Night. "When will we three meet again, in thunder, lightning or in rain?" "When the hurlyburly's done, when the battle's lost and won"
Last week the trailer of the latest adaption of "Macbeth" was released, starring Michael Fassbender and actress Marion Cotillard. I suppose this caught my eye because I studied this world renowned Shakespearan drama for my Leaving Cert in 2014. God knows I remember Ms Barrett giving us quote after quote to learn off by heart. At the time I hated spending hours and hours, studying character questions and reeling off quote after quote in front of the class. The film version I watched was the 1976 version with none other than iconic Ian McKellen playing the title role of Macbeth. Dame Judy Dench played Lady Macbeth. The film was very simple, set on a darkened stage, with the actors the main focus. The first time the play was performed, it was in April 1611. The film looks beautifully done, having been shown at this year's Cannes Film Festival. The film was received extremely well, with Rotten Tomatoes declaring it "fresh", at a rating of 92%. Directed by Justin Kurzel, an Australian director, his brother Jed Kurzel composed the score for the film. The director has only been involved with a few films, but no doubt this will catapult him into the spotlight. However this adaption has reignited my interest in this tale. With Michael Fassbender being one of our own, I was extremely proud that he landed the role as Macbeth, the man blinded by his own ambition. 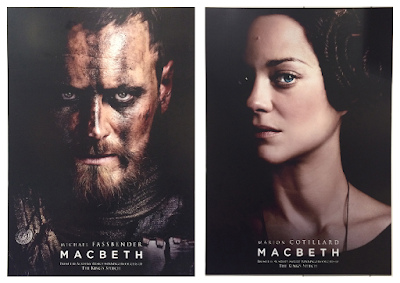 Fassbender in my opinion pulls off Macbeth in stages of the play, even from just watching the trailer: a blood thirsty warrior, a frantic and reluctant murderer, a sly and calculating king, and a world weary man. I feel that Michael Fassbender has gone from strength to strength as an actor. The first time I heard of him, he was in the critically acclaimed film "Shame", directed by Steve McQueen. Since then he has gone on to play Magneto in "X-Men", star in Irish film "Frank", internationally famous film "Prometheus" and was nominated for an Oscar for "Twelve Years A Slave"
The gorgeous Marion Coitillard portrays a woman able to persuade her husband to murder an innocent man and then a grief stricken shell of a woman tortured by guilt. The trailer is beautiful, dark and portrays the the play perfectly. One image that stood for me was the flickering flames throughout the trailer. To me that reminds me about the ever presence of evil in the play, the three witches who have been examined for decades. Are they a real presence? Or are they a figment of a greedy Macbeth's imagination? It will be interesting to see how they are shown in the film. A few other notable actors play key roles in the film. Instantly recognisable David Thewlis plays the unfortunate king Duncan. For those who don't actually know, David Thewlis played Professor Lupin in the Harry Potter series. Talented young Irish actor Jack Reynor plays a key role, Malcolm. (I blogged about Jack Reynor's film "Glassland" Those who have studied the play know what Malcolm's role is and it will be interesting to see how that plays out. I am thrilled that two extremely talented Irish actors are involved in this film. Paddy Cosidine, who I know from Irish film "In America" plays Macbeth's right hand man, Banquo. Except is he? Sean Harris plays Macbeth's nemesis Macduff, the thane of Fife. The film looks visually stunning and as you know, I am hard to please. Even you too like me studied this play for your Leaving Cert and vowed never to lay eyes on it again, I encourage you to see this film when it is released. The Irish release date is the same as the UK, October 2nd. Release dates so far can be found here. Photos and trailers are for decorative purposes only. 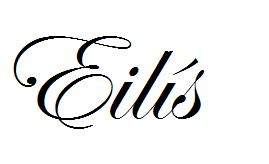 Belongs to StudioCanal UK.